TUCSON – At least two of the people who played a critical role in bringing the newly named Roadrunners, the Arizona Coyotes minor league affiliate, to Tucson grew up watching the classic Wile E. Coyote and Roadrunner cartoons. “I always liked how the Roadrunner was one step ahead of the Coyote,” Tucson Mayor Jonathan Rothschild said. Unlike the long-running Warner Bros. cartoon, where both Roadrunner and Coyote battled at every turn, the Arizona hockey versions of the two desert dwellers will work together to help each other. Coyotes ownership on Saturday unveiled the new name of the recently relocated AHL team that they bought and moved from Springfield, Massachusetts, last month. Rothschild said the Roadrunners name is a perfect fit. 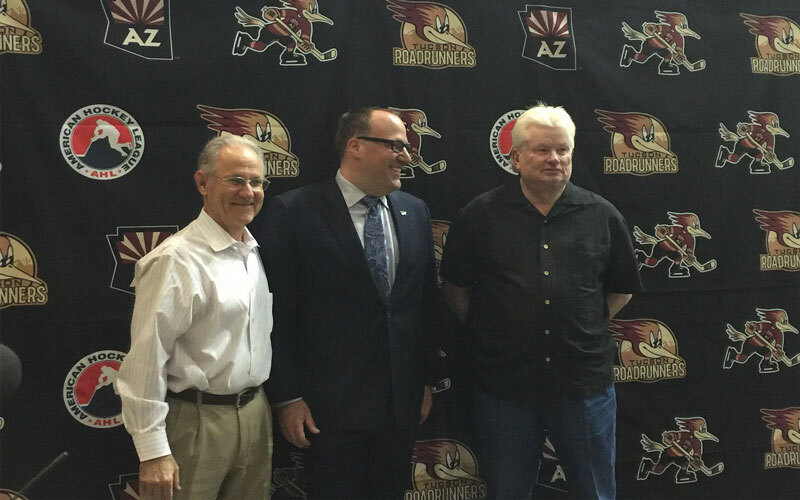 Rothschild hopes having a professional hockey team in Tucson helps further the growth of sports in the city. The Roadrunners will be the first high-level minor league team to play in Tucson since the Tucson Padres moved to El Paso in 2013. Tucson resident Patrick Schmidt has attended many University of Arizona Icecats’ games in Tucson, as well as Coyotes games in Glendale, but he is excited to see a professional hockey team come to the city. 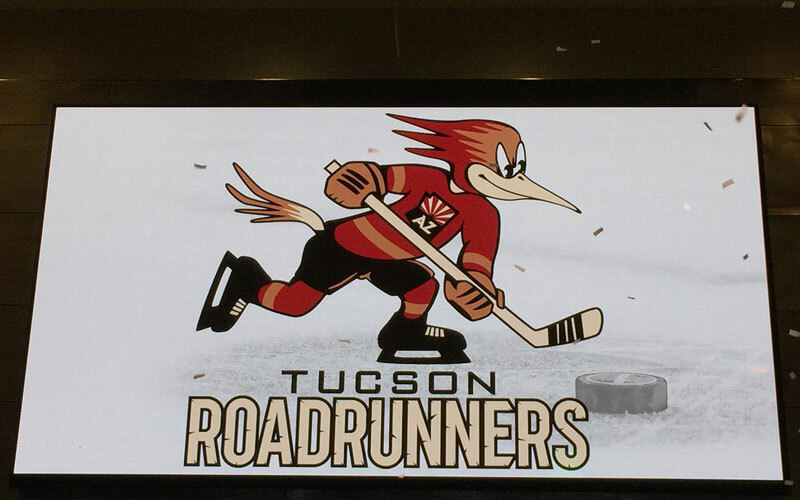 The Roadrunners name brings with it a long hockey history in the state of Arizona… The name was used originally by the Western Hockey League’s Phoenix Roadrunners, who played from 1967 to 1974. That team joined the World Hockey Association, a professional league that competed with the NHL from 1974 until 1977, when the team folded for financial reasons. The name resurfaced in 1989 in the International Hockey League, with a Roadrunners team playing at the Arizona Veterans Memorial Coliseum, where they lasted eight season until they folded in 1997. The name was re-animated for a third time in 2005 as a team in the East Coast Hockey League playing at what is now Talking Stick Resort Arena, but that team folded in 2009. Although the team’s jerseys will not be revealed until later in the summer, the organization did unveil a logo that management says is intended to be more family friendly and less edgy than the original. Copper was also added to the color scheme, a nod to the mineral’s history in Arizona. McCusker said the arena will seat 6,700 people for hockey. As of Saturday, 1,000season tickets had been sold. He also said the Rio Nuevo board is looking to add another rink in the city in about a year to a year and a half to get more people playing hockey in Tucson.